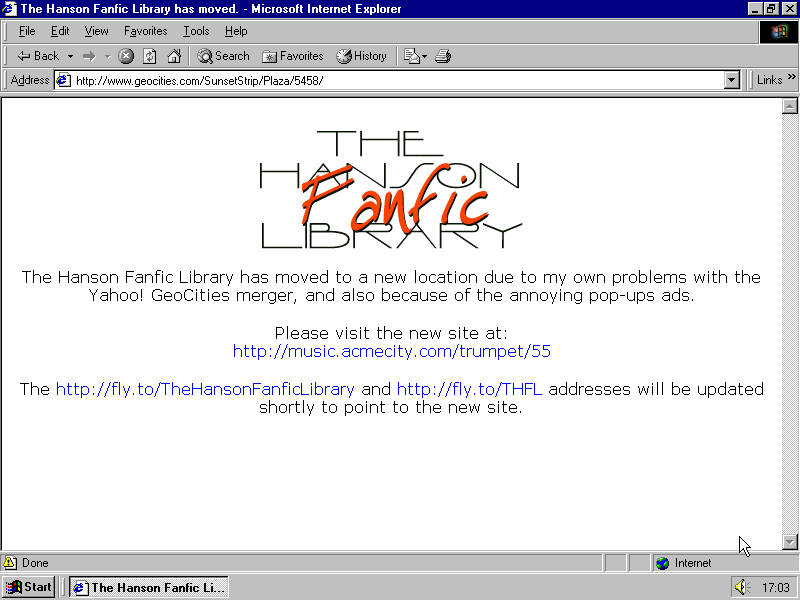 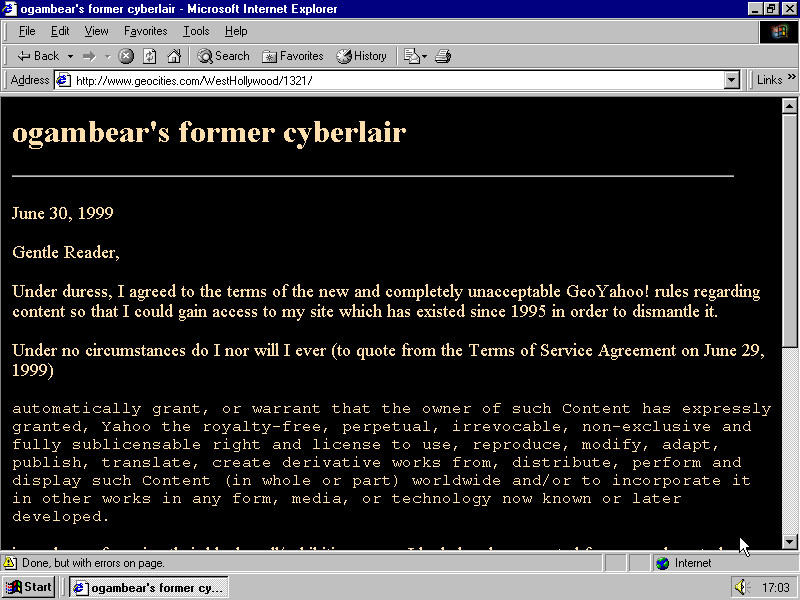 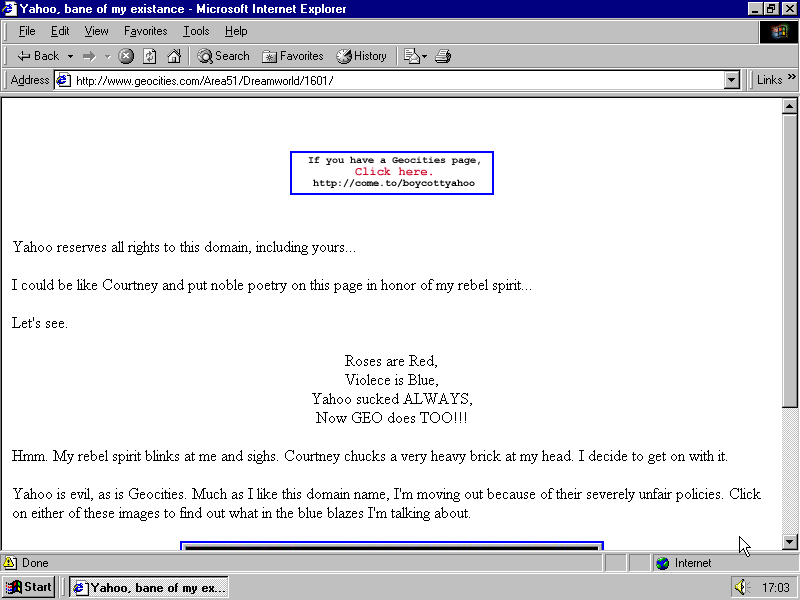 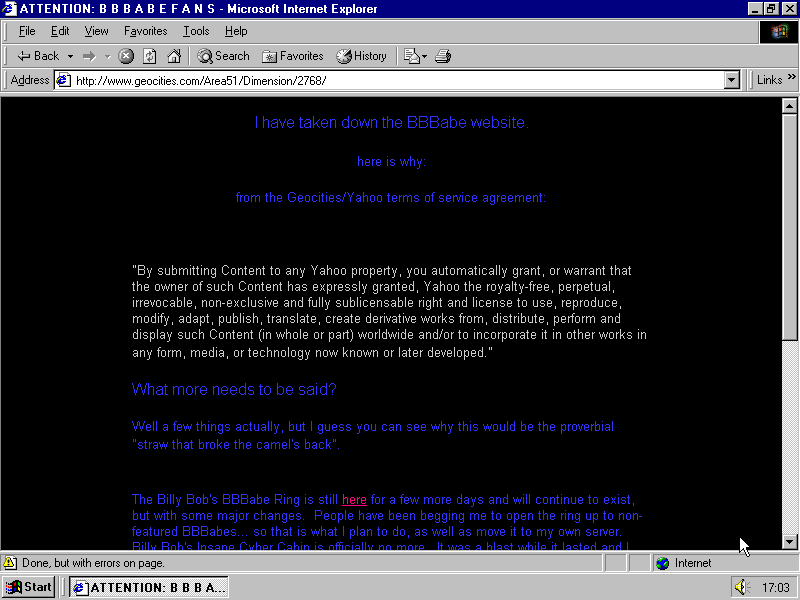 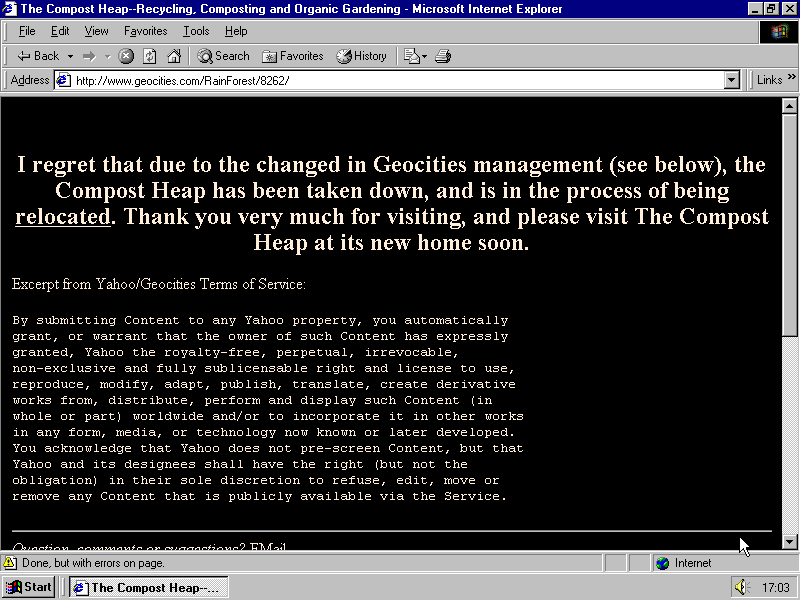 Half a year ago speculating on what to expect from 1999 on Geocities, I didn’t mention may be the most important fact. 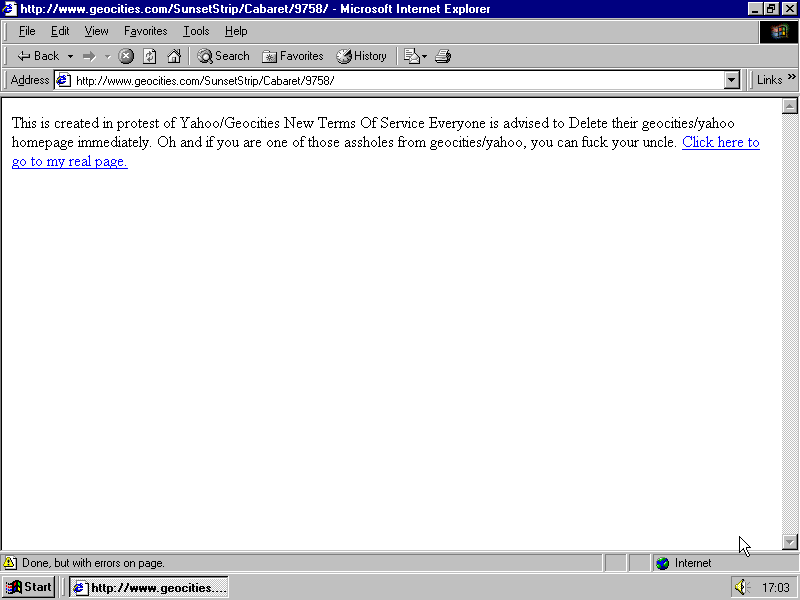 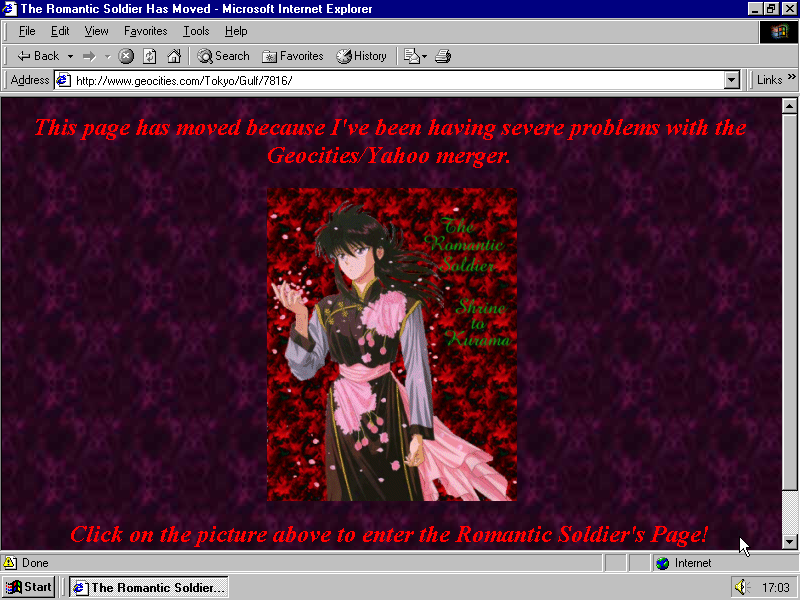 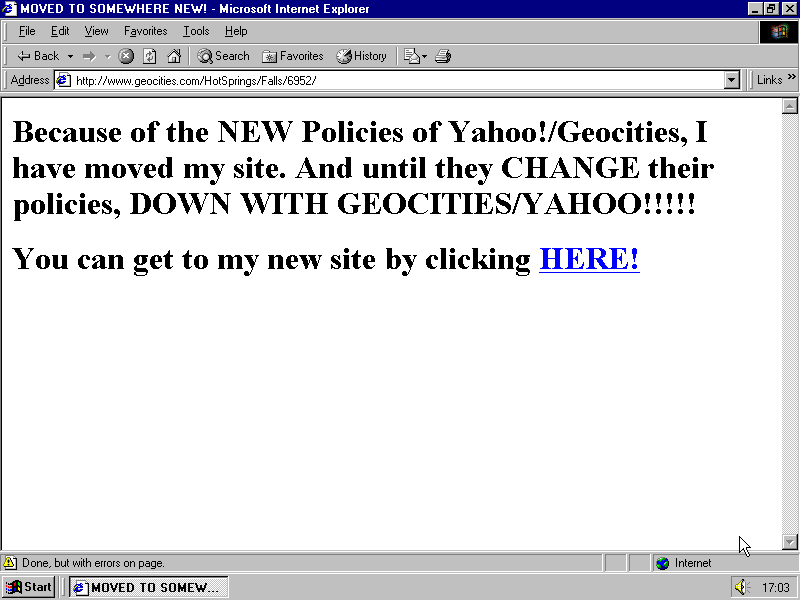 It was the year when Yahoo bought GeoCities. 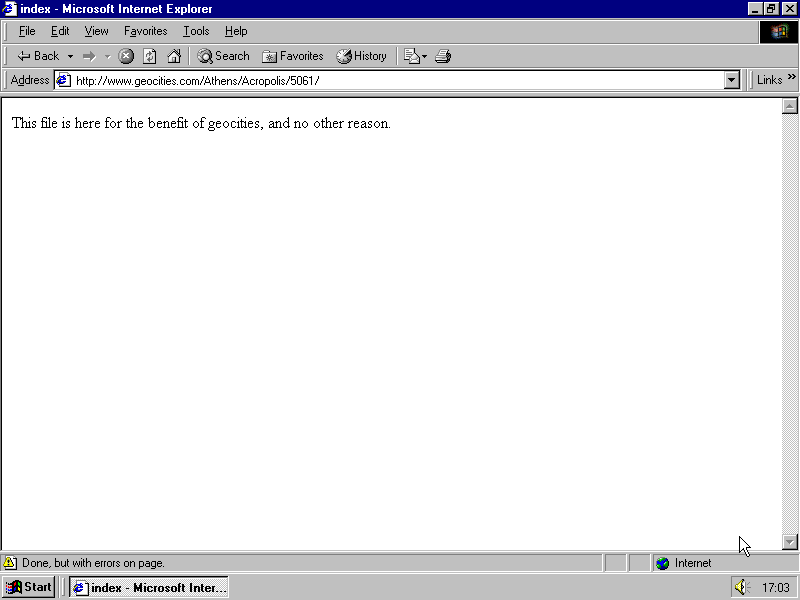 This page can be seen as a presage of the real upraise that happened later that week. 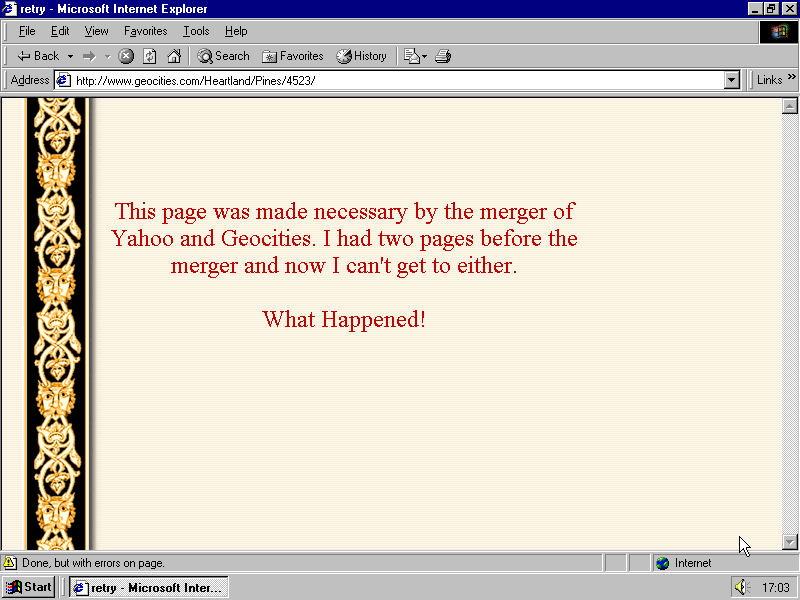 For the first time homesteaders started to blame Yahoo when giving a reason for moving to another service or closing the profile. 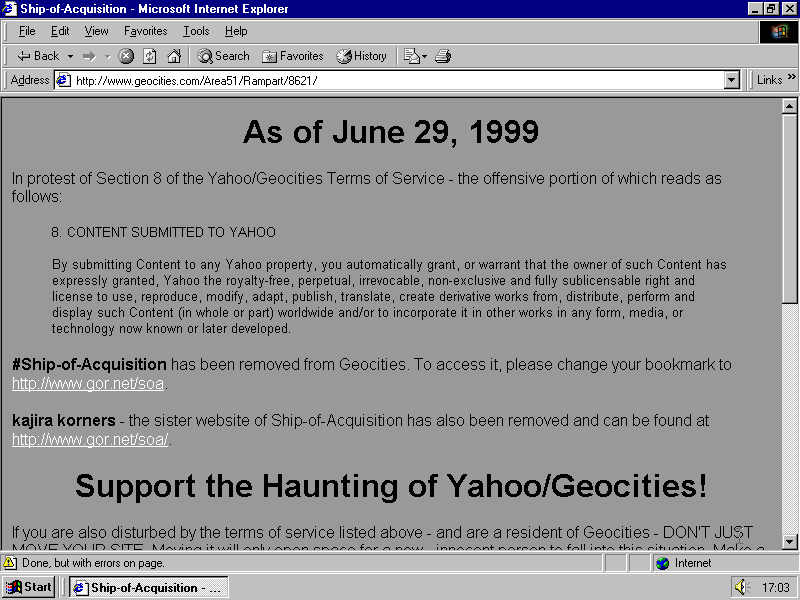 Yahoo obviously made itself visible by announcing the new ToS on the 29th of June. 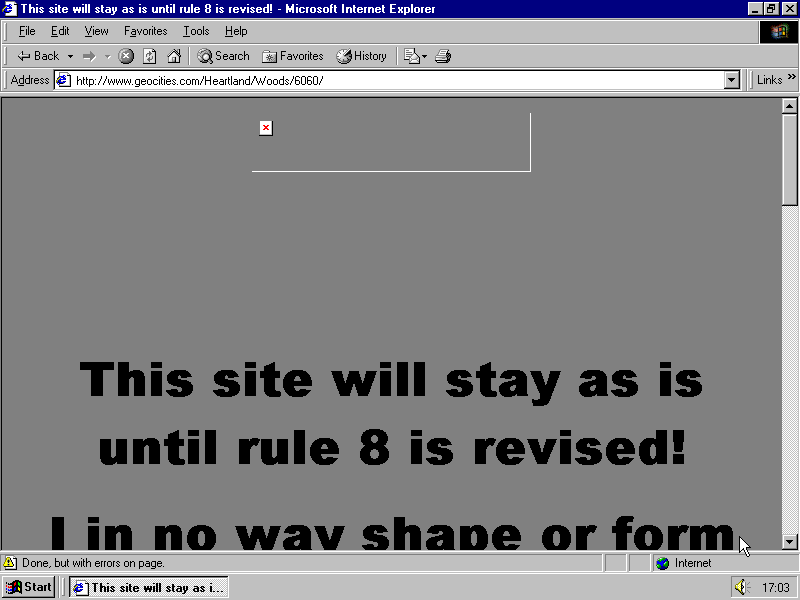 After users read it, they got furious. 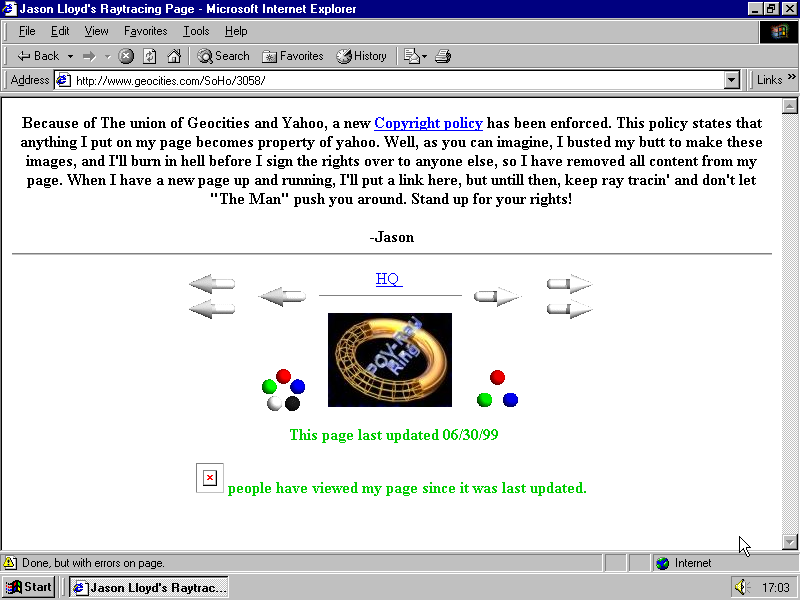 Users got as a sign to leave, and went to Xoom or Angelfire, or elswere… The screenshots below also show that some removed midis, texts and images from their profiles. They protested and called for the boycott. 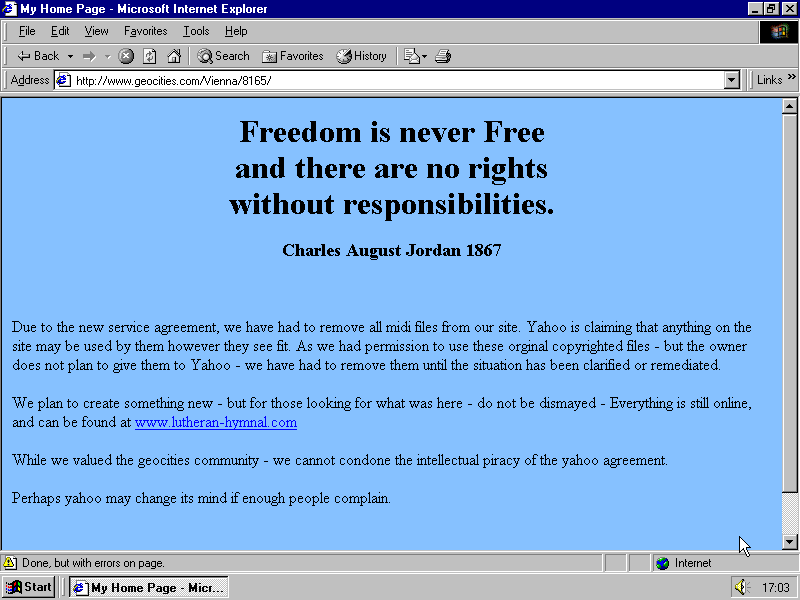 “As boycotters, we had asked for a number of issues to be addressed, including a definite ceasation of the rights they are granted when you leave the service, the ability to leave before agreeing to any new ToS change made regarding your content and how it is used, and the clear limitation of the use of your content solely for its display on the service on which you stored this content. 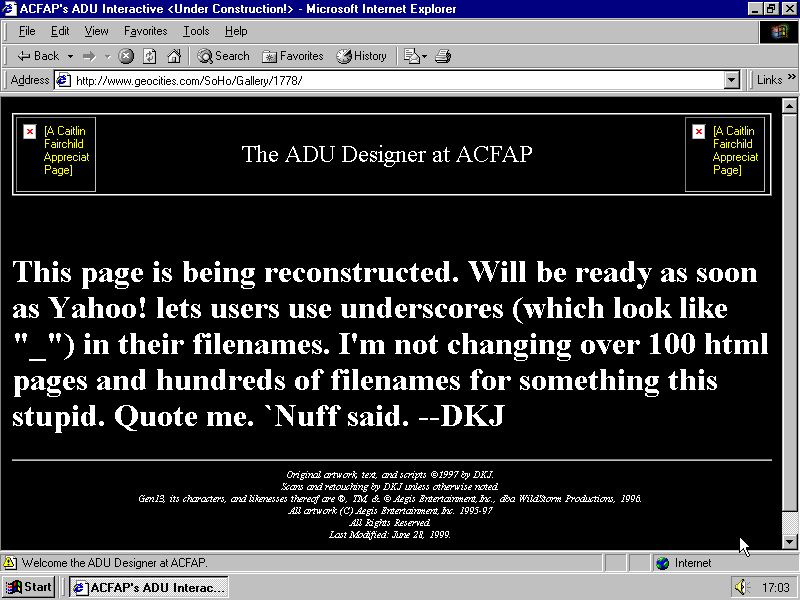 If we’d have another super computer, the task we could give to it at the moment could be to go to the Wayback Machine and take snapshots of all updated on that date profiles to see how else users reacted to the “section 8” and how many they were. 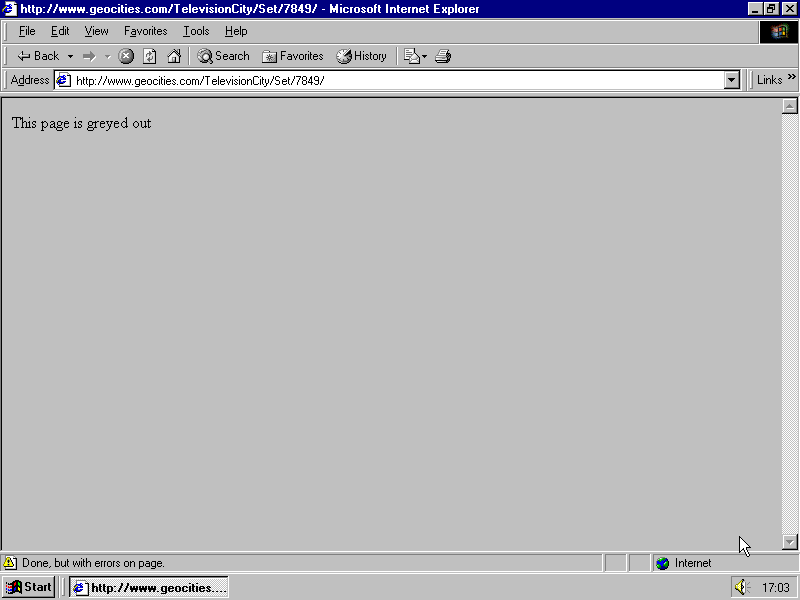 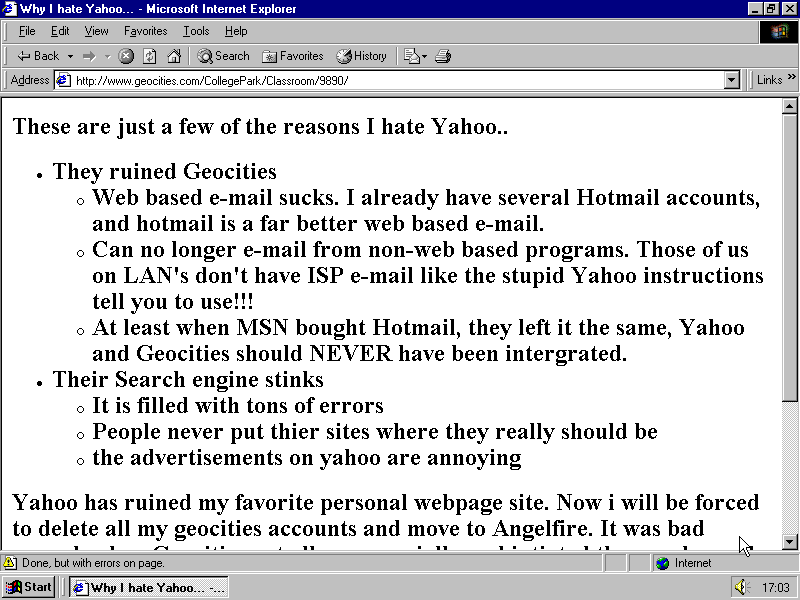 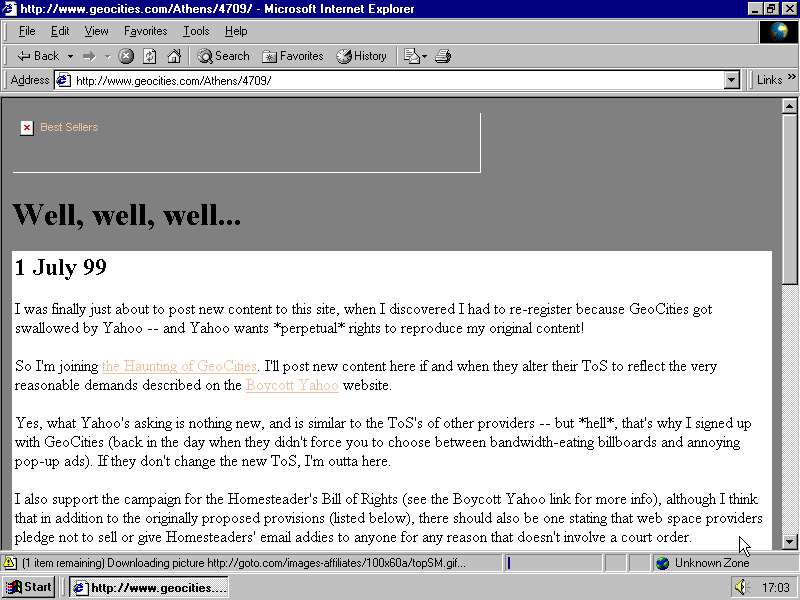 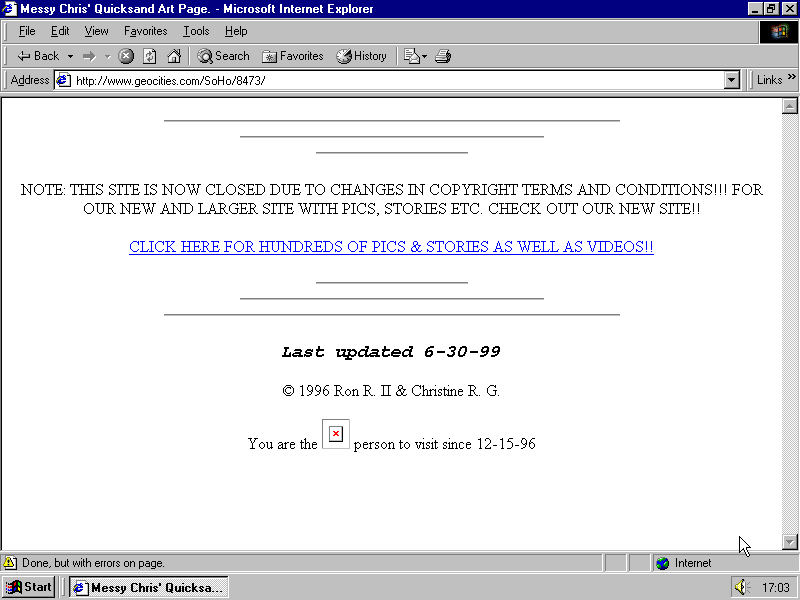 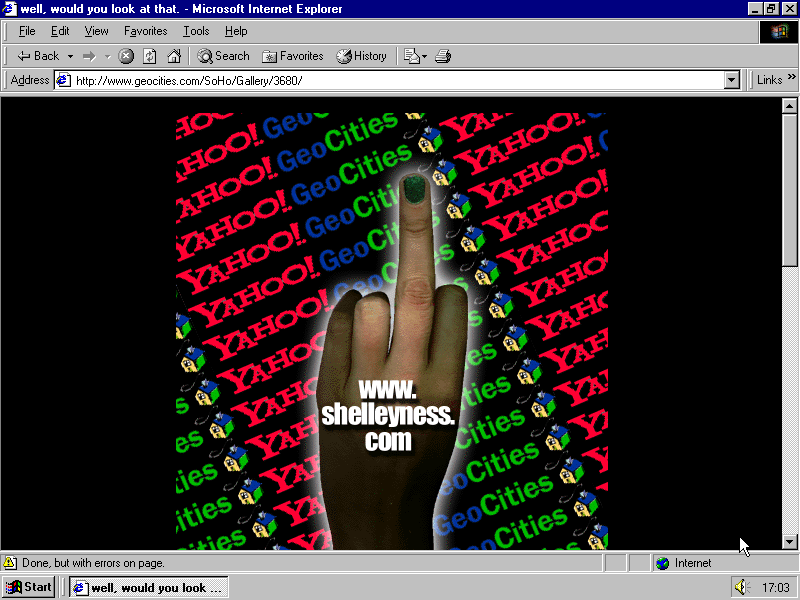 GeoCities Research Institute can only share with you thoughts of people who protested and never came back. 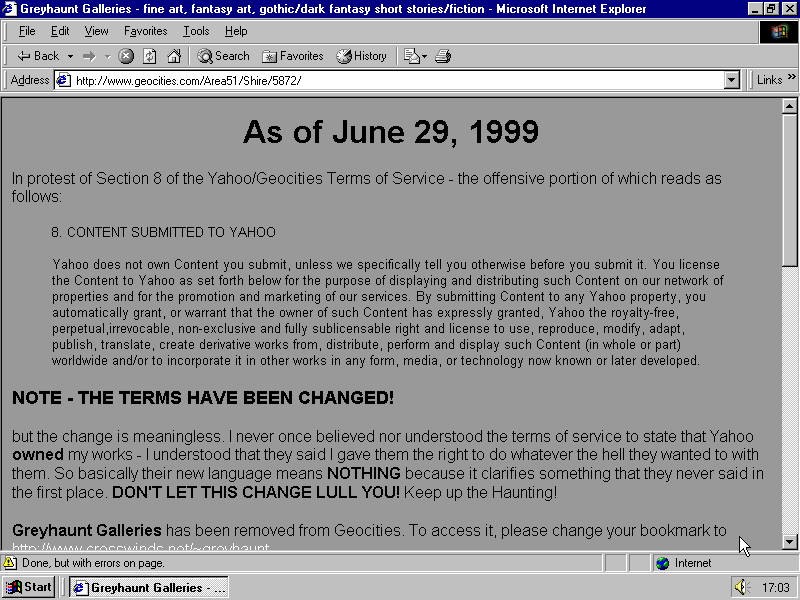 Above mentioned article Yahoo Angers GeoCities Members With Copyright Rules appeared on 30th of June in New York Times sais protests had mass character. 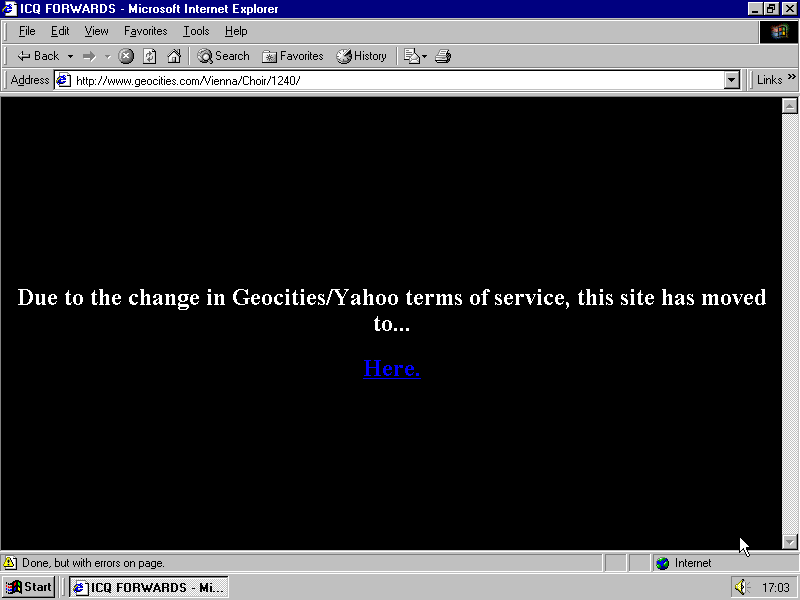 I’m sure there were more than we can access now… at the same time GeoCities life of many users went on as usual, they were updating, just moving in and moving out because of reasons not related to copyright… Later this month Yahoo will abandon GeoCities neighborhood system to substitute it with vanity profiles, but nobody knows it yet.